Diane Revell has written a couple poems published in newpapers; one in a Seattle Times of January 2000 that won her (among 99 others) tickets to the Northwest Flower & Garden Show and one in the June 2017 Kohala Mountain News. Other published works were in two issues of U.S. Women Engineer, the publication of the Society of Women Engineers (May/June 1985 and the March/April 1991 issue on Software Engineering for which she also served as the guest editor). Her main writing recently has been done as a member of the North Kohala Writers’ Group that meets monthly at the North Kohala Public Library. Her current writing consists of short poems and very short stories. These are inspired by the environment: the weather, sounds of nature, emotions and incidents of life. Often they are also inspired by photos of the local area or from trips. Sometimes if a photo is not available to enhance the poem or short story, Diane makes a drawing to capture the essence of the writing. She, her husband and their cat and dog live in Hawi. 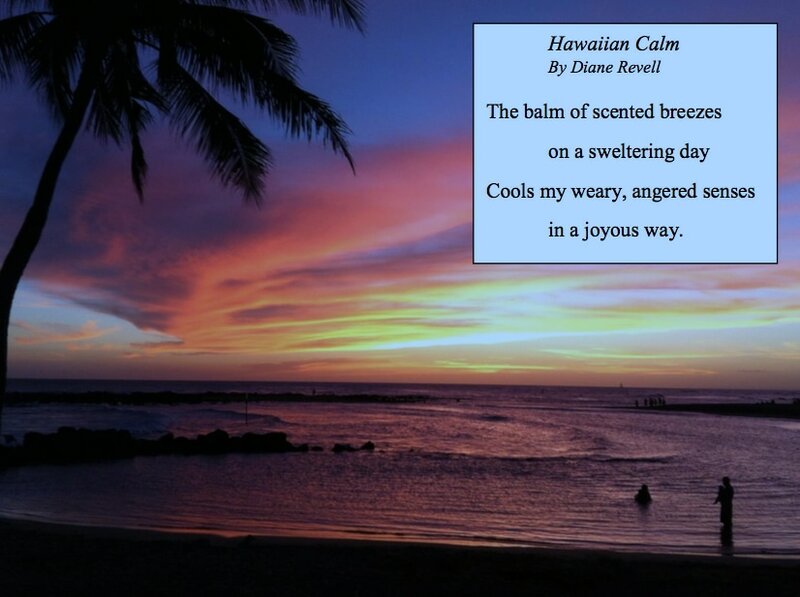 The atmosphere of Hawi inspires many of her poems. 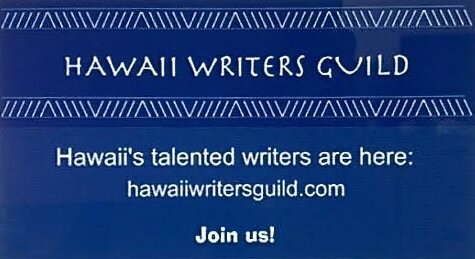 She was interviewed on the local Hawi radio station KNKR’s Women’s Voices on 5-31-2017 which included her reading some of her poems. She is in the contemplation phase of collecting her poems together for a future publication. Diane can be contacted via e-mail at this link. As if a heavy warm coat engulfs me. More effort to move and energy drained in the process. ​I drift up with joy.